The thought of visiting any cluster of stores anywhere in America during the month of December seems borderline unbearable. But if you've got to pick up a few Christmas presents and you just cannot with the crowds, judging by this WWD report, you might want to drop everything and go right now. Apparently, retailers tend to see a lull in traffic after the initial burst of Black Friday frenzy. But this year it's "particularly pronounced," partly because of wretched weather and partly Thanksgiving was just too much. Not good news if you're the CEO of Macy's. But anyone willing to brave the weather can pretty much have the mall to herself for the next few days. "Margins are going to be lower — guaranteed. Everyone is forecasting lower margins," said a retail chief, who requested anonymity. "It's not great out there. People are going to wait" to shop for last-minute gifts. "That's true every year. People wait and wait and wait. Stores mark down and mark down. It's the same game every year. This year happens to be a little more challenging." 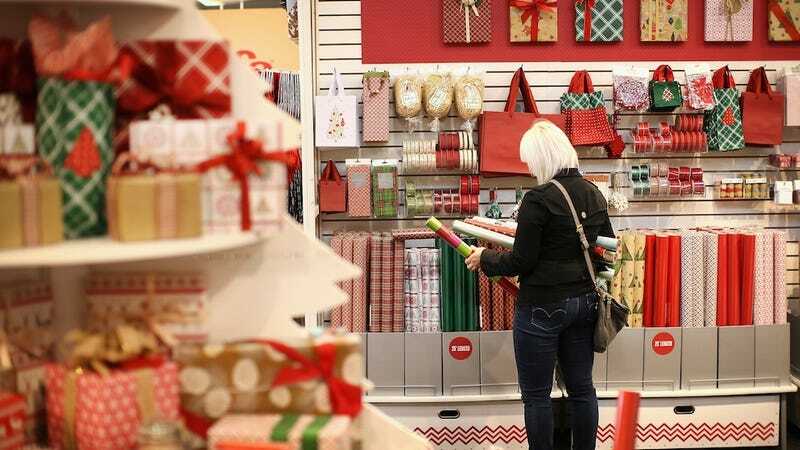 A Columbia prof suggests it'll be the week before Christmas before business shakes a leg, and "it will pick up slowly and inconsistently and will only pick up because of heroic discounts being offered, the kind that typically were held for the week after Christmas. This is madness." That's got retailers feeling queasy about their margins. God only knows what they'll do to Thanksgiving next year in response.